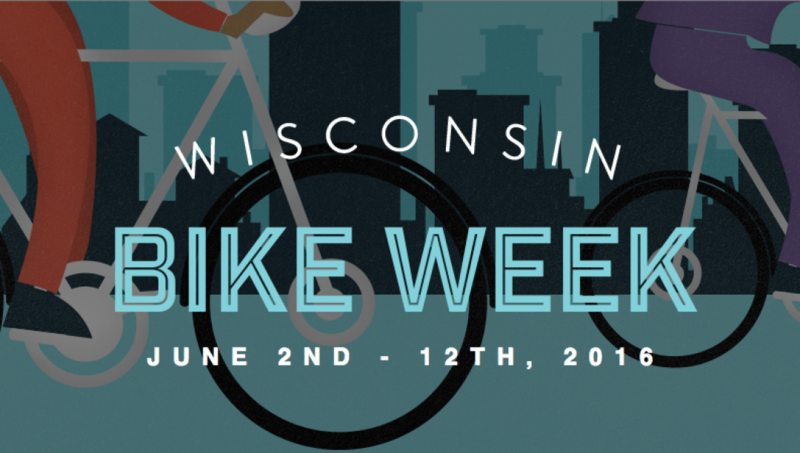 This year's "Wisconsin Bike Week" from the Wisconsin Bike Federation will take place June 2–12, celebrating all things cycling statewide. Eau Claire is a participating Wisconsin Bike Week city – others include Milwaukee, Madison, and La Crosse – with a slew of different events taking place all over town from family fun rides to commuter stations, bike-in movies and concerts, and information stations. Scroll down for a list of local Bike Week events! Volume One and The Local Store are excited. Eau Claire is a city that truly embraces and supports safe cycling, evident not only in our community of biking enthusiasts and our many great bike trails, but also by the number of participating local businesses and sponsors willing to volunteer their time, energy, and/or commodities to support this mission. Local participants and sponsors include the Wisconsin Bike Fed, Volume One, BPAC, Chippewa Valley Transit Alliance, Gordy's, Just Local Food, Soul Brewed Coffee Roasters, CORBA, Riverside Bike & Skate, Friends of the Chippewa River State Trail, and Eau Claire Mobile Bike Repair. As the Wisconsin Bike Fed itself puts it, let's have some fun and celebrate all the reasons we ride! 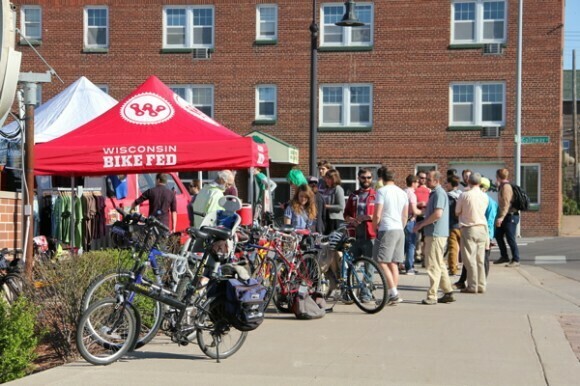 Tuesday June 7 • 6:30am–10am • Volume One/The Local Store (205 N. Dewey St.) parking lot • Join Volume One, the Wisconsin Bike Federation, Bicycle/Pedestrian Advisory Commission (BPAC), Chippewa Valley Transit Alliance (CVTA), Friends of the Chippewa River State Trail, Eau Claire Mobile Bike Repair and other important friends of a bike-friendly Wisconsin who will be on hand for the Bike Week kickoff party with free coffee from Soul Brewed Coffee Roasters, free fruit from Just Local Foods, free breakfast items from Gordy's, unique bikes, and a whole bunch more.